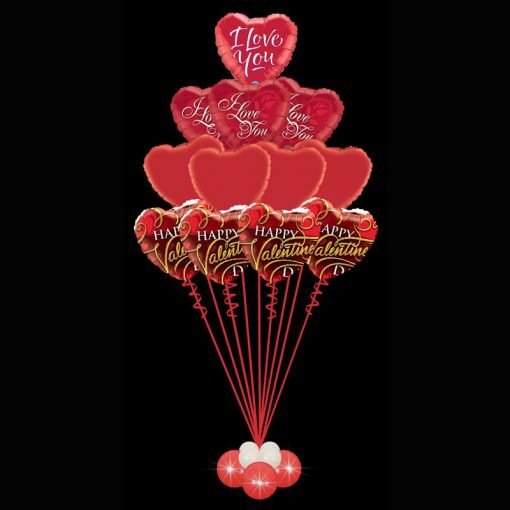 12 Valentines Foil Helium Balloon Bouquet, an impressive Valentines Gift. 12 Valentines Day Foil Helium Balloon Bouquet – a Dozen Foil Heart Shaped balloons, weighted with L.E.D lights added to the base. A BIG long lasting balloon bouquet to impress your Valentine. An Impressive balloon bouquet to be delivered to any office, workplace, home or even Restaurant.